Red Hot Chili Pepper – MoMoHitsTheSpot! 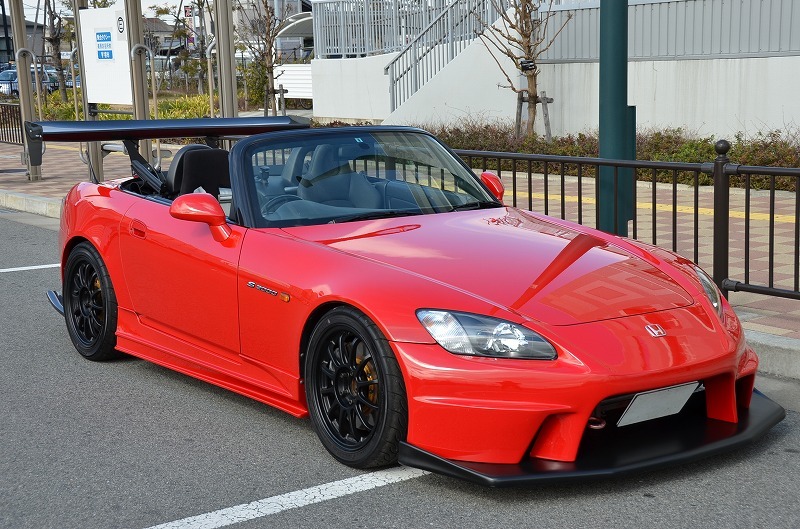 Here’s another gorgeous offering from Global Auto featuring a red hot Racing Factory Yamamoto S2000. Essentially, RFY exterior pieces are Sorcery made hence the resemblance. 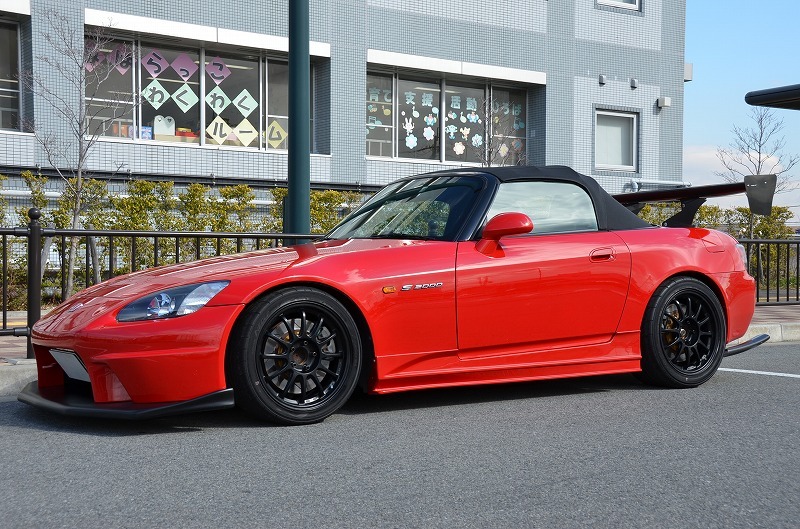 The Sorcery front is probably my favorite bumper for the S2000. Black SSR Type Fs matches very nicely with this S2. 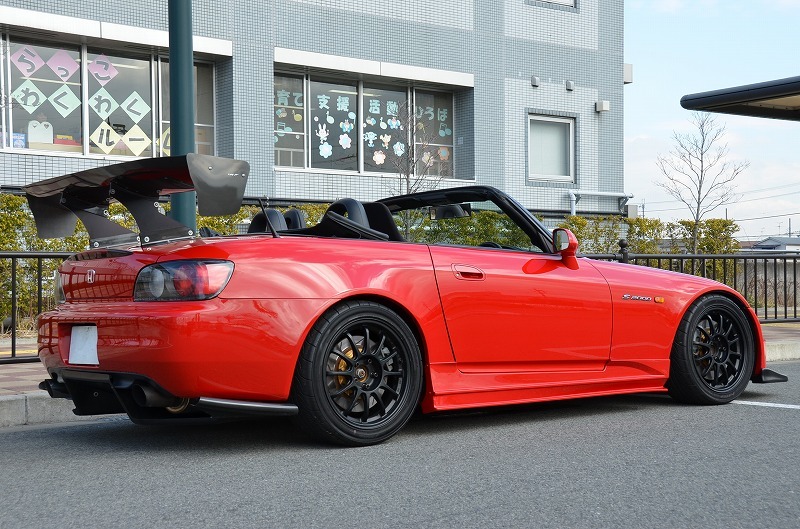 Exterior has the full on Sorcery treatment including the side steps, rear diffuser, and GT spoiler. The back end looks incredibly aggressive with the Sorcery wing, diffuser and RFY V2 exhaust. 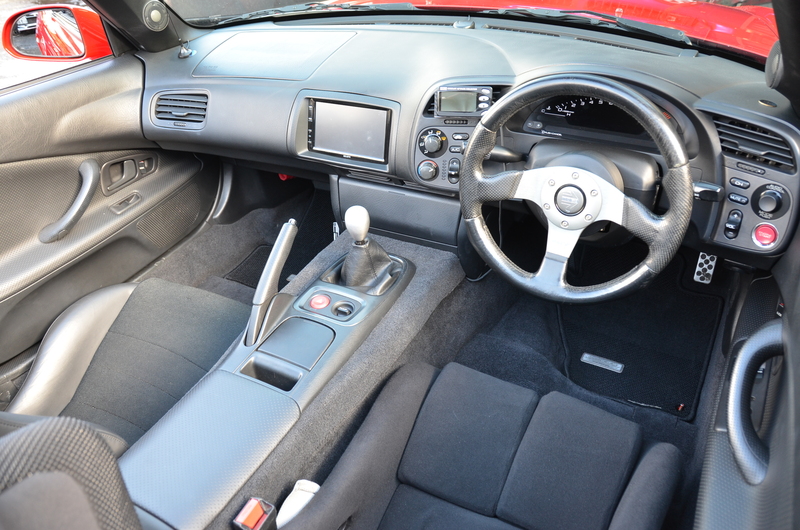 The only thing that’s not aggressive is probably the tamed interior.